I’m a huge fan of powder kohls. I use them most days in fact, I find that full make up doesn’t look complete without it and I find it super quick and effective when I’m wearing much less make up, a dash of powder kohl and mascara and off I go. It’s a super quick, very long wearing way to get a tight-lined look (both the upper and lower waterline lined), very quickly. I find that it adds depth and intensity to the eyes (depending on the shade used). However, I can see why some people are daunted at the prospect of using them, powder and stick, it doesn’t sound the easiest way of applying make up, but it’s an absolutely ancient form of applying make up, thousands and thousands of years old, and can’t have lasted this long if it was too tricky for people to master. More on the application in a bit. 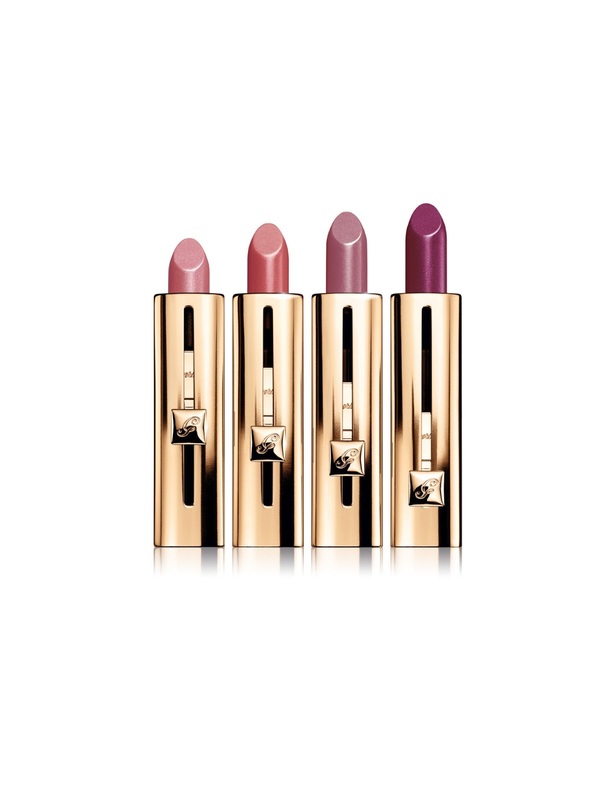 Until recently I have only owned Guerlain’s versions of powder kohl and in fact I am very happy with them, wanting to add a few more shades to my collection! 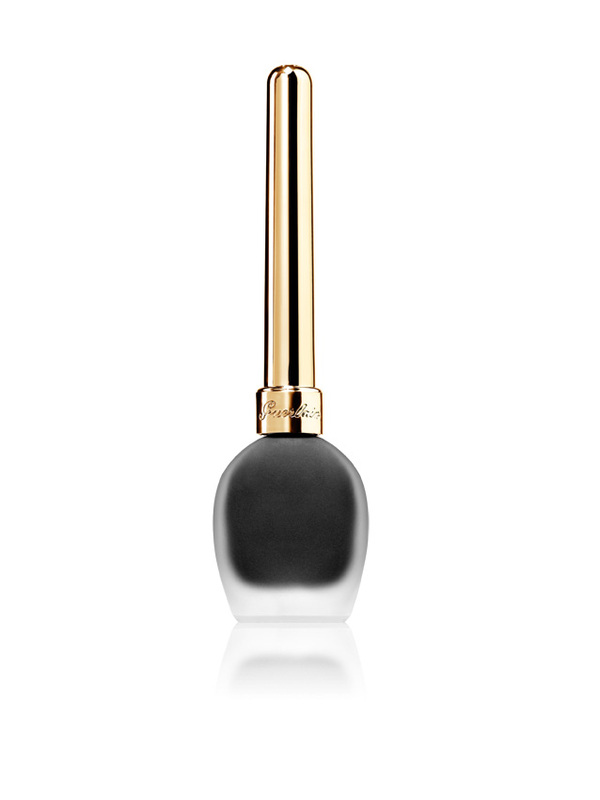 I have Noir (black), Secret Glow (a lighly shimmering cream shade), Oriental Metal (taupe) and Bleu. I also used to own a pale blue. In all honesty I will probably throw away the cream one as I don’t love the pale shades, the browns and darks are most definitely where it’s at! The Guerlain Kohls last all day on me, quite often they are still there after I’ve washed my face in the evening. They are quite literally that good. The packaging is beautiful too, glorious little vials with golden tops. However, these little vials are £25 each. Worth every penny to me. Recently I was browsing Fragrance Direct when I spotted a much cheaper product by Turkish brand Sheida so I added one to my order, opting for grey. At £8.50 it was certainly worth trying to see how they compare to my usuals! Really nice looking packaging, if a little cheap feeling, but that doesn’t really bother me. I was however disappointed with the colour which turned out to be more silver and pale than the grey I had hoped for. I wasn’t overly concerned though because if it performed well, there are another 7 shades I can try out in future. Right in terms of application, Sheida kindly include instructions. Essentially though, you get a wooden stick dipped in powder, place it on your bottom waterline, close your eyes and gently draw the stick along the entire waterline. When you open your eyes, voila, both top and bottom are lined. Once you’ve had a practice you’ll find you can do this with ease and it takes seconds. 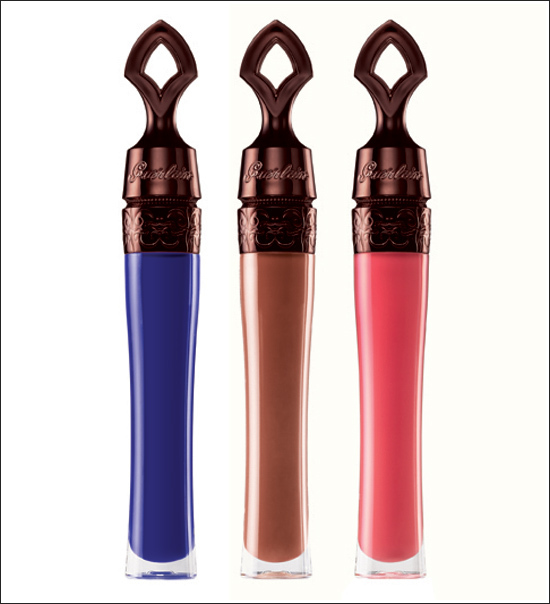 Both Guerlain and Sheida sticks are the same, so in terms of application, there’s no difference (Guerlain top, Sheida bottom). The Sheida Kohl swatches really well too, here it is in comparison to the Guerlain kohls (Sheida on the left). Because it wasn’t the colour I was hoping for I didn’t especially love how it looked on, I like it to darken my eyes and make my eyes look exotic, this however was very subtle. I did however want to show you the following shot of my eye looking a bit scary, just to show you how well it lines both top and bottom waterlines. In terms of wear, it didn’t last as long as my Guerlain kohls, but it did a good 8 hours with ease. Given that, I think I’d be happy to try another Sheida shade but I’ll have to find better colour swatches before I buy so I don’t end up buying another shade I won’t actually wear! I think for black I wouldn’t stray from Guerlain, but otherwise, I’d be happy to try, for such a huge price difference its got to be worth it. 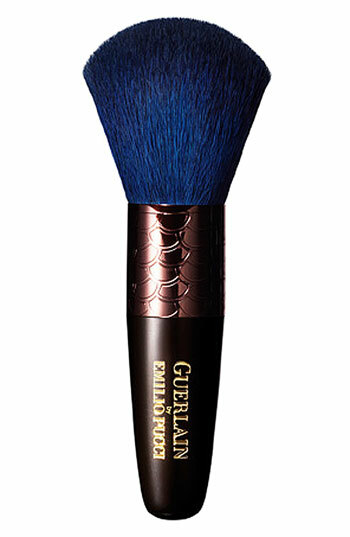 I have bought my Guerlain Kohls from various retailers over the years (some shades are now discontinued), but I bought the Sheida Kohl Powder Eyeliner from Fragrance Direct. Oooh this is going to be a quick review and I think I’m going to bullet point my thoughts for ease! Lovely wide brush, I can do most of my nails in one swipe of the brush. I’ve had a little bit of tip shrinking when using this top coat, only with my indie polishes, not any mainstream brands. It’s thick so I’m getting through it fast. I’m halfway down the bottle already and it seems to be getting a bit thicker. I’m not 100% sure about this and guess I won’t know until I finish. It’s still applying flawlessly so hopefully this won’t prove to be a big issue. So from my little list up there you can see I have more con’s than I do pro’s BUT the pro’s are so good that unless the bottle becomes so thick it’s rendered unusable I think it’s worth the price and using a different top coat with my indie polishes. I’ve never had wear like this from any top coat ever. Seriously amazing. You can see it in use here, here and here. Although this is £18, you can purchase from Escentual for £16.20 at the moment. 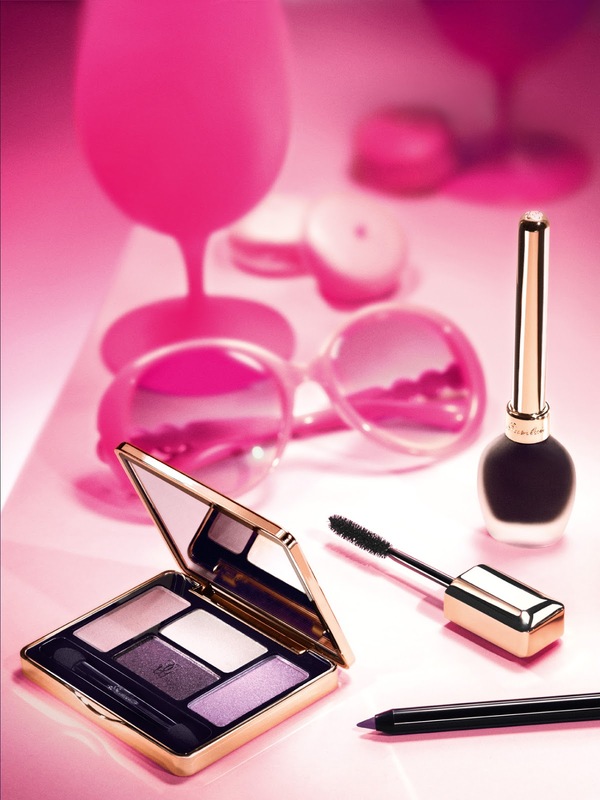 There are some beautiful things coming from Guerlain this season and I’ve got some images to share with you along with a look at and review of the new Mascara. Cils d’Enfer Maxi Lash is a Volume creating and curl scultping mascara that comes in very classy packaging. It’s simple, stylish and classic. Despite looking fairly standard it’s actually been quite carefully designed to catch each lash and separate and it’s all bevelled and faceted to create your look. I’ll show you the mascara in action then I’ll tell you what I liked and didn’t like about it. Okay, so I love how black it is, and I love how I don’t get it on my eyelids when I apply it because it hasn’t got a massive brush. I also love how it makes my lashes look thick and striking even when I’m looking down, they still look long. I also love how the when applying to my bottom lashes it doesn’t go underneath my lashes, it just goes where I want it to. I also like how it’s easy to apply with a very light touch. When I apply mascara to my bottom lashes, I simply want them to look black, I don’t like heavy bottom lashes, this is easy to apply without my bottom lashes looking too long or thick. It stays put all day, and doesn’t flake off over the course of the day. I only have one negative really with this mascara, and it’s really nit picking, but it’s worth pointing out that when I apply this I really do have to apply with care because I find that if I’m a bit haphazard or too heavy handed it can clump. I don’t mind taking a little care with this though, it doesn’t exactly add much time to my routine! The mascara is available in two shades, Noir and Violet and retails at £22. 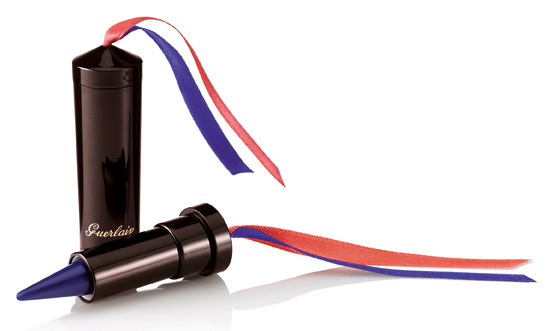 Guerlain Liquid eyeliner in Noir Ebene (Not a Ltd Edition) £22.05. A very beautiful collection, I like that they have catered for different tastes and colourings by having a pinky purple theme and a coral and green theme. Personally I’d like the two coral lipsticks and the Coupe De Foudre Eyeshadows, they just look so stunning. Anything take your fancy? The collection is available now and I recommend Escentual (but I’m not affiliated in any way!). There’s a new perfume in town, it’s beautifully packaged, it’s beautifully scented and I’m fairly sure it’s a future classic. This is a young vibrant and beautiful scent and I have to say it’s fun. I’m seeing this becoming a firm favourite for teens with a sense of class about them! It seems a bit of a departure for Guerlain from their usual kinds of scents which I am a fan of, but seem much older, not only in terms of who they suit, but also in the sense that they smell like they have been around for a long time, which of course many if not most of them have. Although I wouldn’t class myself as anything like young any more (sob) this perfume is the kind of scent I absolutely adore. Overwhelmingly fruity, in particular black cherry but there are so many other scents in the mix. There’s tonka bean, there’s vanilla, iris and patchouli, there’s rose and touches of liquorice and black tea. Creating something beautiful. It won’t be for anyone, it won’t be for those who don’t like sweet perfumes. It really reminds me of Givenchy’s Hot Couture which I’m not even sure they still make but that I absolutely used to love. Then there’s the beautiful bottle. There’s the beautiful scrolled bottle shape, ombre pink/black glass and of course, the little black dress. It is truly a beautiful bottle. Again, I feel it’s young, but at the ripe old age of 38 I’m still going to rock this one for all it’s worth. This has currently replaced all my Angel versions as my scent of choice. I’m sure it’s going to be incredibly popular. La Petite Robe Noire is £42 and available from Selfridges. Definitely one to check out. I’ve been admiring this collection from afar for a long time and unfortunately it’s come along at a time when I’ve got no money so rather than not blog about it at all I’ll just blog a bit about from the press release. I’ve said it before but as a rule I do try to not just blog about press releases as I prefer to blog about things I’ve tried, but I’ll always make an exception to blog about something I just find really interesting or exciting and this is both of those things, well to my tastes it is! 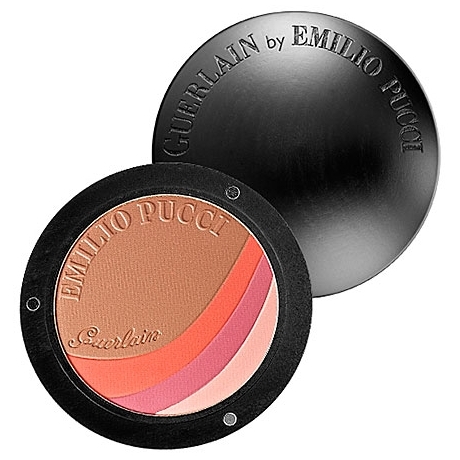 Guerlain and Emilio Pucci have joined forces this summer to create a colour cosmetics collection that perfectly captures the colours of Summer, in particular the colours of Italy. It’s not the first time the two Houses have joined together but it is the first time it’s really captured my attention. 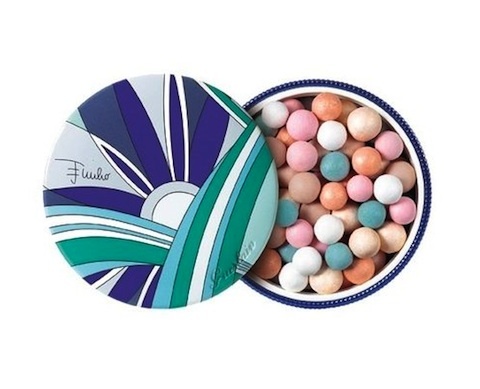 The first item I really really love is the Meteorites Perles D’Azur (£37) and the amazing kabuki style brush (£28) that goes along with it. Meteorites have long been on my wishlist but I’ve never yet taken the plunge, these are the ones I’d go for in a heart beat, I love the packaging and I adore the coloured pearls inside. Blue and pink counteract yellow tones, beige and orange warm up the complexion and ivory and white gold illuminate without whitening. Then there are glosses (£21 each). The blue and the pink really appeal to me the most. Long time readers will known I’m a devotee of Guerlain powder kohls but I’d like to add the ocean blue Khol Kajal (£23) to my Guerlain Kohls collection. 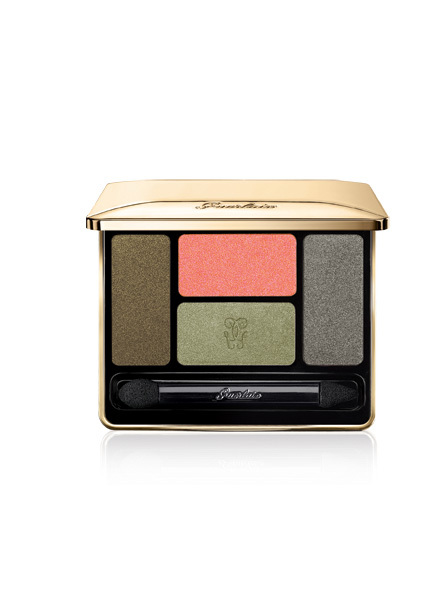 What else, well there’s the Ecrin 4 couleurs palette (£37). Beautiful. 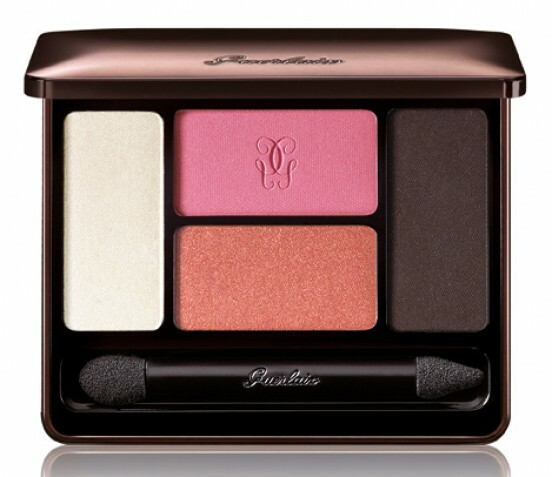 There are a few more products in the range including a blue mascara, two nail polishes and a stunning Terracotta powder, which is a bronzer and blusher combined…. So that’s it, a truly beautiful collection and full of things I want. If I had to narrow it down I’d get the meteorites and the brush but I could quite honestly go mad for it all. 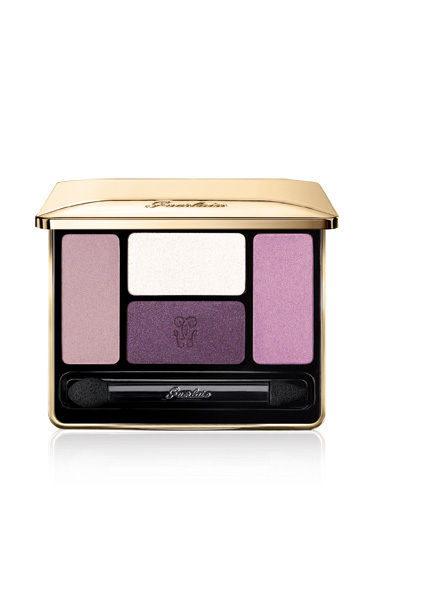 Available now from Guerlain counters nationwide. My Night Out, Make up and Clothes! So you’ll know if you read my post yesterday that last weekend I went out for the evening with a friend. My first night out in many years (excluding my husband’s work Christmas party) and I was so excited. I tried out the Halo clip in extensions which I loved but it was also an excuse to get properly dolled up. I don’t do dressed up like lots of girls do dressed up, you won’t find me in a Lipsy Dress or Fake Tan… it’s just not my style (although I sometimes wish it were). So, by my standards I got properly dolled up. I wore leopard print leggings, a black racer back vest and some killer heels that nearly crippled me! I don’t have a good outfit picture, only a blurry one from when I was messing about with my husband! I also had a little leather (really not leather) jacket. And because I’ll always be a rock girl at heart I accessorized with skulls of course! You’ve gotta love a bit of Butler & Wilson haven’t you! As for my make up. It just had to be the YSL Noir Terriblement palette didn’t it? With lashings of Guerlain kohl and some Japonesque lashes. Oh and on my lips I’ve got one of those YSL Glossy Stain thingys, full post coming soon! So there we have it, how I dressed for my first night out in many years. Oh lordy did I get drunk too, but I had an amazing time. You know it’s been a good time when you’ve lost your voice the following morning from all the singing and talking you did the night before. Can’t wait for my next night out but have no clue what I’ll wear. It’s hard when you’re not really into dresses to know what to wear for a night out these days! 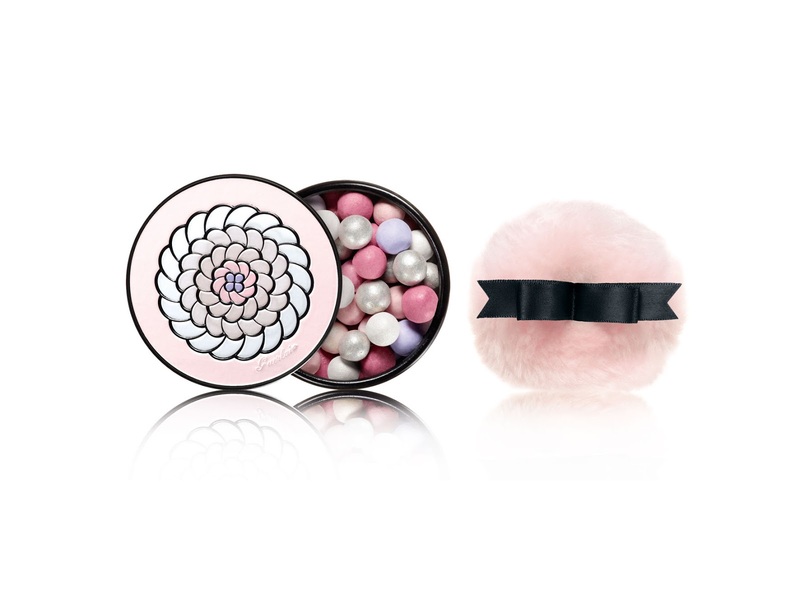 I know I’ve talked about my love for Guerlain’s Loose Powder Kohl’s before. I’m not sure how many I had at the time I last posted but I know for a fact my collection has expanded a wee bit. I think it’s fair to say that these applied “eastern style” (on both the upper and lower waterline) are perhaps my most beloved make up item. I don’t wear them every single day, but certainly several times a week and quite often I find myself thinking my look isn’t “complete” until I’ve whipped some on. So thats the five I have. Left to right is Noir, Bleu, Oriental Metal, Secret Glow and Lagon. Words cannot express how displeasing I find it that the Secret Glow container isn’t transparent like the other pots. I don’t like it when things don’t match. Anyway, here’s some swatches in the same order, Noir, Bleu, Oriental Metal, Secret Glow and Lagon. My favourites of them all are Noir which looks fabulous on and Oriental Metal which was a Ltd Edition but if you google you might find a few about. I’ve raved about these in the past I know but they simply can’t be beaten for longevity. I can put this stuff on in the morning, wash my face at bedtime and look in the mirror and it’s still there! Now that’s fantastic you have to admit! Applying the two dark colours can get a little messy so I always have a cotton bud to hand or even the Lord & Berry Eraser Pencil on hand to clean up fall out, but it’s so worth it. I’ll try and get some pictures of all of them on the eye over the next week or so and get those up too. Next I need the long discontinued Pourpre and Oriental Bronze.